As it returns to Greeley Square for the fall, UrbanSpace’s Broadway Bites is loaded with notable vendors and interesting dishes. While you can always rely on classics like Roberta’s, Red Hook Lobster Pound and Wafels & Dinges, vendors new and old are taking the change of seasons in stride and delivering delicious and noteworthy fall dishes. Here, in no particular order, are our top picks. 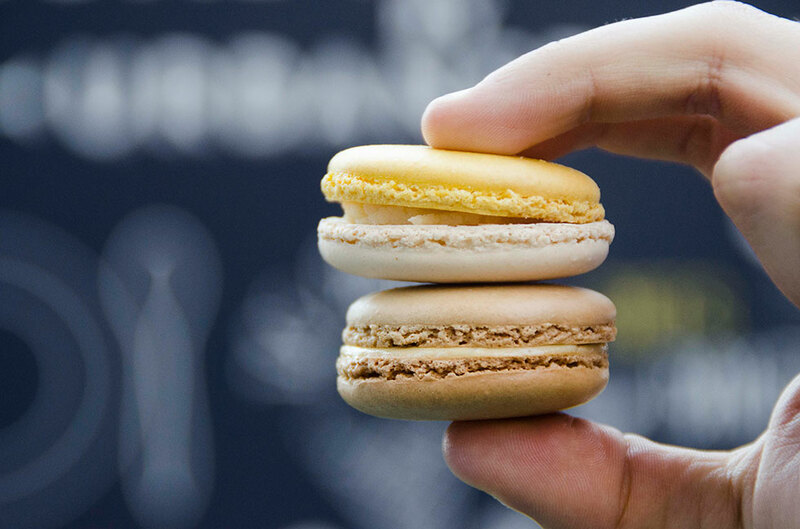 Generally known for out-there flavors like Cheetos and candied bacon, Macaron Parlour’s best new flavor is more low-key, but no less satisfying. Taking advantage of the end of the season, the sweet corn macaron ($2.50) uses real corn in the filling to create a pleasant sweet-savory flavor profile that tastes and feels like late-summer. Though their regular gumbos are no slouches, The Gumbo Bros’ vegan option might be the most impressive. Traditional gumbo is far from vegan-friendly, but this meatless dish could convert even the most die-hard carnivore. A hearty and slightly spicy mix of collard greens and black-eyed peas, the Voodoo Vegan ($10) is where the brothers’ culinary prowess really shows through. 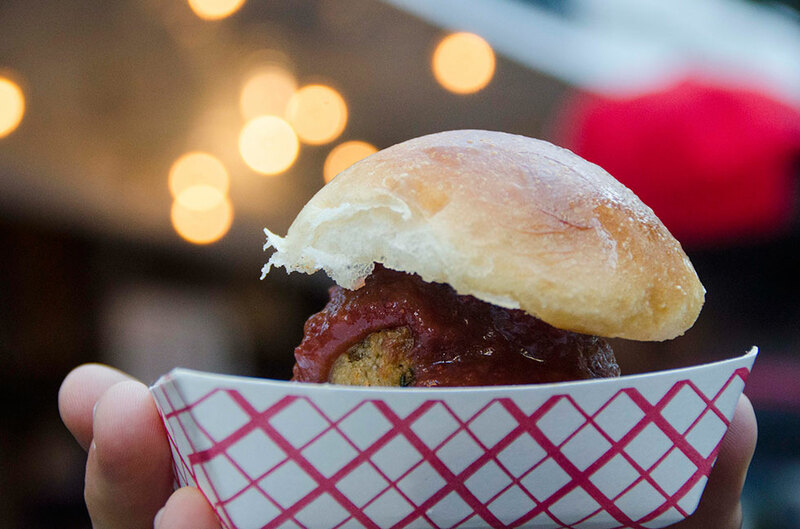 The meatballs themselves impress, but the thing to order is the turkey meatball slider with sweet and spicy cranberry horseradish sauce ($4). As far as we’re concerned, it’s never too early to get in the Thanksgiving spirit, and this dish is a quick, easy and affordable way to get there. 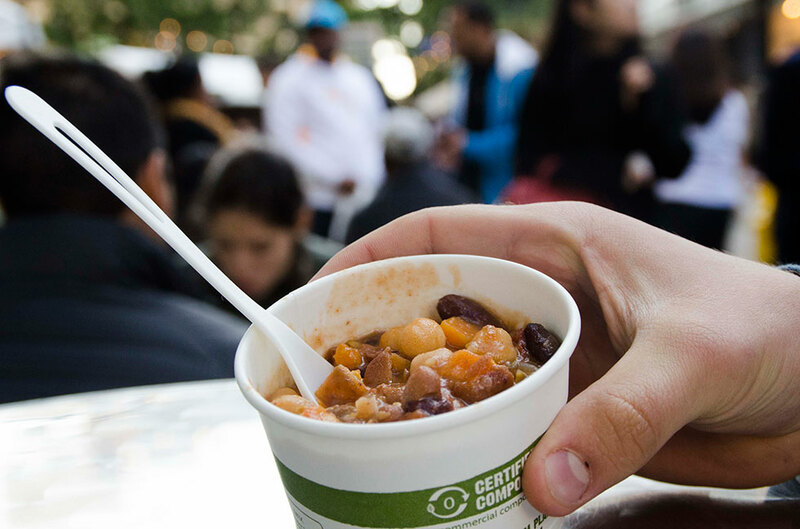 Two Tablespoon offers an impressive roster of vegetarian, vegan and gluten-free options, but the sweet potato chipotle chili ($6.50) is the way to go. Full of beans, chickpeas, sweet potato and smoky, slightly spicy chipotle, this chili is as rich and satisfying as any meat-based version ever will be. Poor choices and artificial flavorings have given pumpkin spice a bad rap, but it doesn’t have to be that way. 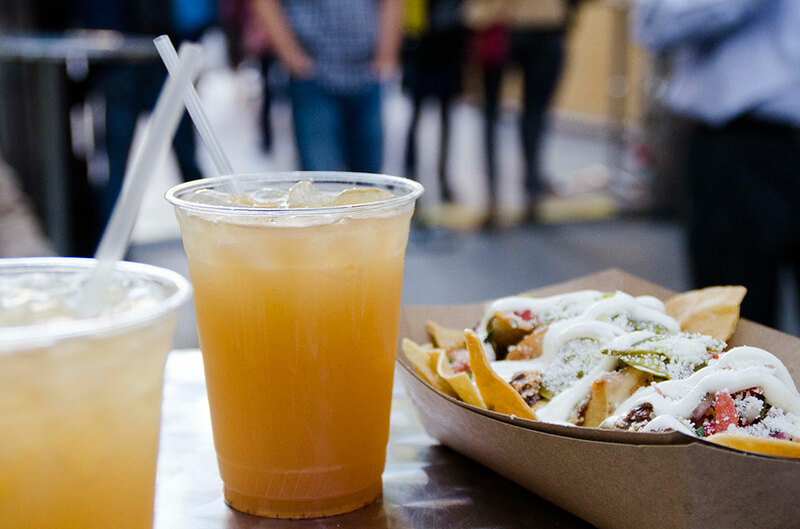 Undoubtedly the star of the festival, Mexicue’s pumpkin spice margarita ($9) relies on real pumpkin and a hint of spice to take the classic drink to a whole new level. Pair it with an order of smoky burnt ends & queso nachos ($11) and you are almost guaranteed to go home happy.